Sober homes. Recovery houses. Halfway houses. Sober living. Recovery residences. Transitional living. Whatever it happens to be called in different cities and areas of the country, transitional sober living environments often can be a key “make or break” area in someones journey of recovery. Sure, a person can get clean or sober anywhere. They don’t have to necessarily go to treatment and if they do go to treatment they don’t necessarily need to go to an IOP or aftercare and if they do go to continuing treatment like aftercare they don’t necessarily need to go to a sober living environment. However, there is little doubt that the longer someone engages in treatment and the more support someone has in both clinical help and social support, the better the recovery outcomes tend to be. The more sustainable the recovery tends to be. And the relapse recidivism tends to decrease while the likelihood of long term recovery increases. No person in early recovery from drugs and alcohol ever happily and joyfully decides to go to a sober living environment, especially those people getting clean and sober for the very first time. Typically, the agreement to live in such a recovery residence is accompanied by kicking and screaming, childish whining and attempting bargaining from the addict or alcoholic in early recovery. Moving into a halfway house or sober home can be a frightening situation, no doubt exacerbated by the similarly scary rehab and treatment experience that typically proceeds it. A person newly clean and sober is dealing with a lot of issues, physically, mentally and emotionally. The crutches of drugs and alcohol have been removed from the picture. Emotions are heightened. Fear, anger, worry, self-doubt, insecurities. Delusion. A person new in addiction recovery often suffers from most, if not all, of these issues. Moving into a new situation with new people can clearly look like a terrifying situation and one that most people facing said situation want nothing to do with. Think about moving into a college dorm, not knowing anyone else in the dorm. That in of itself can be frightening. Now throw in some post acute withdrawal symptoms and sprinkle on top many of the outside worldly consequences faced by addicts and alcoholics new in recovery. Sounds like a recipe for disaster. However, that really is just the uninformed perception or the perception of the addict who is looking for any excuse not to move into a halfway house or recovery home. The truth is, these type of sober living environments offer numerous benefits to the newly clean and sober person and often can be the key to long term recovery. Sober living environments benefit the new person in recovery by providing them with accountability. Not only do these recovery residences have in place measures to make sure the person is accountable, but they also aid in creating self-accountability and responsibility in the newly clean and sober resident. A good, reputable sober home will have a curfew and require the person be home by a certain time each night. They will often have a mandate that the resident be up and out of the house early in the morning, either at a job or in school or actively out looking for employment. They often require the clients to attend regular meetings at one of the 12 Step fellowships. The require rent be paid by a certain time. These homes will have many other rules and regulations, none of which seem absurd to a normal everyday person but often seem “ridiculous” and “overbearing” to an addict that is newly clean and sober. These rules and regulations often include the horrifying and horrific tasks of making ones bed, cleaning the house or apartment to make sure it’s presentable and clean, doing the dishes, treating other residents with respect, and no violence. Halfway houses and recovery homes offered important structured living for a newly clean and sober person in recovery. No addict likes discipline because most addicts have no discipline, but discipline is extremely important for a person new in recovery. The rules and regulations mentioned before are part of this structure, but additional benefits include living in a house that is staffed, most of the time with staff members that are also in recovery and have experienced going through the emotional stages of getting clean and sober. 24 hour staff and the ability to monitor residents at all time aids in getting a flow in the recovery lifestyle. Additionally, residents of sober homes are drug tested semi-regularly, much of the time randomly, to make sure they are staying off drugs and alcohol. Curfews, mandatory house meetings and assigned chores aid in creating the necessary structure and addict or alcoholic need once out of treatment. Many parents are concerned that putting their former drug using child into a living situation with other former drug users is dangerous. Sometimes this is the case. If a halfway house is full of residents that really don’t want to be clean and sober and want to get high, they will ultimately get high. But blaming it on the living situation is faulty logic. Here’s a piece of important information related to this concern: If an addict wants to get high and is taking no action in terms of recovery, they will ultimately get high. Every time. The environment does not matter. What is often missed about recovery residences are the benefits of addicts and alcoholics in early recovery living together. This idea of peer support and the power of the group can ultimately propel someone on the fence about wanting to be clean and sober in early recovery to jump into their recovery with both feet. 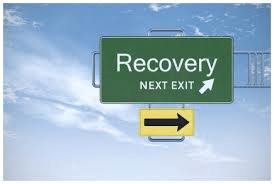 Recovery doesn’t necessarily happen in treatment and many times recovery doesn’t always happen inside a 12 Step meeting. Much of the time, and this is something often not discussed, recovery occurs in the sober living homes and recovery residences late at night, when groups of newly sober people discuss their lives and what is going on with them. They talk about their treatment experiences. They talk about the different meetings they’ve been attending. They talk about the IOPs they are going to. They discuss the direction and suggestions that their sponsors are giving them. They bounce ideas off each other. The power of a group of people all walking in the same spiritual direction of healing and recovery is a magical thing to be a part of and often it is this power and these relationships that sustain a newly sober person through what can sometimes be a rough going and an emotional rollercoaster of early sobriety. A benefit of sober living is the ability that it has to act as a transitional living environment for those exiting addiction treatment centers and entering recovery. Many people that are getting clean and sober (whether for the first time or after many attempts) have either never learned or lost many basic life skills. An addiction is a full time job. So often someone enters treatment or rehab after they have withdrawn from society for a long period of time, then they enter an inpatient drug rehab center where they are taken away from society for 30 days or longer. In order to become a productive member of society, one needs to learn how to be a productive member of society. That cannot happen while one is using drugs or locked in an inpatient rehab facility. It is also unlikely to occur if an addict goes back into the same living environment and/or family structure that they had when they were using. Sober living offers this transitional time period and the support of staff and other people in recovery to transition from treatment slowly back into the real world and learn the necessary life skills to be successful. For many people getting clean and sober, their old home and lifestyle is dangerous and not extremely supportive of recovery. By no means are we suggesting that some needs to change “people, places or things”. However, we are suggesting that many people have an unhealthy household or living environment while using and going back into that same living environment will support unhealthy behaviors and an unhealthy lifestyle. As sober house offers a new environment where people are trying to live better, healthier lives alongside others with the same goals and a staff whose sole purpose is to support that change and growth. For addicts and alcoholics new in early recovery, although change can often seem frightening, much of the time that change can be healthy and what is needed at the present time. If you or someone you know is in need of detox, treatment, aftercare or sober living due to drugs and alcohol, please call Maryland Addiction Recovery Center at (410) 773-0500 or email info@marylandaddictionrecovery.com. For more information on all of our services, please visit www.marylandaddictionrecovery.com.